1981 Signed Artist Whipple. 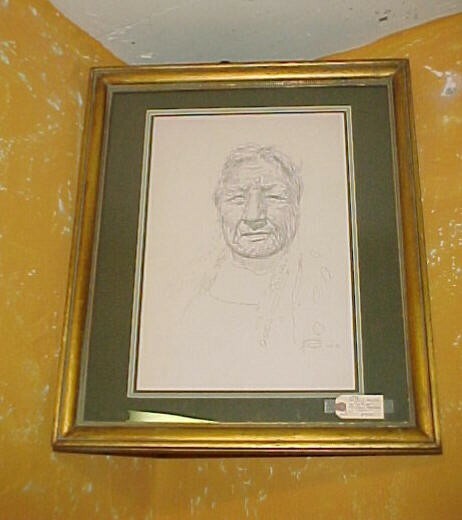 Pencil Sketch of Native American Elder Woman. Nicely framed. 1981 Signed Artist Whipple. Pencil Sketch of Native American Elder Woman. Nicely framed. Please email cowboycabin@centurytel.net with questions or call 406 270-2842.